OpenNebula Conf 2018 is getting closer and we would like to announce VirtualCable as our first Silver Sponsor. If you want to participate in OpenNebulaConf and meet VirtualCable and other OpenNebula users and partners, remember that we just recently opened the very early bird registration. Also, if your company is interested in sponsoring OpenNebulaConf 2018 there are still slots. 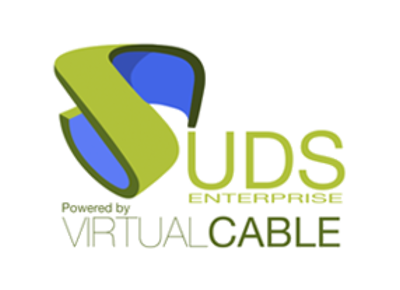 VirtualCable develops and supports UDS Enterprise, an Open Source multiplatform connection broker for Windows and Linux virtual desktops and applications. UDS Enterprise is the only VDI connection broker certified as OpenNebula Ready capable of publishing virtual desktops on this cloud orchestrator. With OpenNebula as cloud manager and UDS Enterprise as VDI connection broker, any company deploying desktop virtualization can build a strong, secure, efficient and high-performance VDI infrastructure. The perfect functioning of the joint solution has been verified by our customers, who have tens of thousands of virtual desktop users around the world operating with UDS Enterprise and OpenNebula VDI infrastructures. UDS Enterprise allows to automatically deploy and manage virtual desktops’ full lifecycle, ensuring an efficient use of resources and enabling access from any device and any operating system. It also provides unlimited flexibility, since it allows to enable several hypervisors, authenticators, connection protocols and cloud services to run simultaneosluy.